Snowshoe in the Bog at Lost Lake Peatland SNA Saturday, Feb. 23rd, 1:00 p.m. to 3:00 p.m. Join naturalists from the SNA program and Lake Vermilion-Soudan Underground Mine State Park on a family-friendly snowshoe exploration of Lost Lake Peatland SNA. 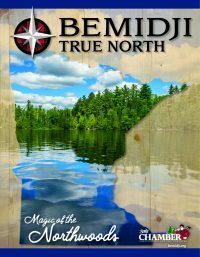 Learn about the incredible ecosystem, identify the unusual plants that reside in bogs, and practice your snowshoeing skills in this breathtakingly beautiful north woods bog! Dress for the weather, bring a water bottle and a snack, and bring snowshoes if you have them. We also have a limited number of youth and adult sized snowshoes to lend out; please call ahead to request a pair. Please note there are no facilities at the site. Directions: Meet at the Lost Lake Public Water Access. From Tower 5 miles W on MN Hwy 169, then 1.25 miles W on MN Hwy 1, then 1 mile N on Co Rd 476 (Holter Rd), then 1 mile NW on Co Rd 458 (Roberts Rd). Park in water access at dead end. More information contact: Bryonna Persing at 218-735-3962 or by email at bryonna.persing@state.mn.us. Bryonna Persing at 218-735-3962 or by email at bryonna.persing@state.mn.us.